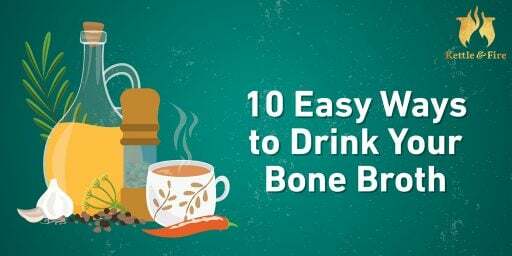 Making bone broth ice cubes is just as easy as making them out of water. 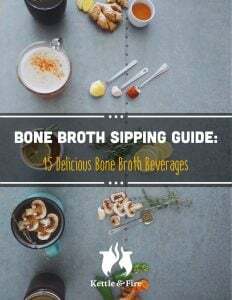 It gives you a simple way to add the flavor and nutrients of bone broth to beverages and meals. Even though these are quick and easy to make, we created a recipe to be clear-as-can-be about what to do, and also to give you some ways to add some excitement with herbs and spices. 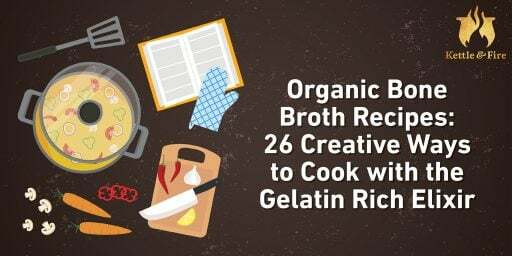 What can you do with these bone broth ice cubes once they’re frozen? First of all, you can simply pop them into any beverage. With the herbs mixed in, they look pretty floating in your drink. 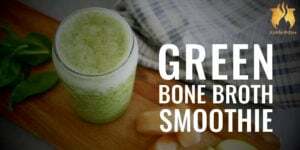 We also love to add these cubes in place of normal ice in smoothies to create the right texture while infusing all the advantages of a bone broth base. Try throwing them into the blender with our Mixed Berry Bone Broth Smoothie and Green Bone Broth Smoothie. You can toss them into any number of recipes – the only limit is your imagination. Add some cubes to sauces, soups, stews, and whatever meals you’re cooking in the pan. Enjoy! Bone broth ice cubes are the perfect way to get your dose of protein and collagen on warm summer nights. Freeze them plain or add some herbs for a beautiful look in your next iced beverage. Pour Kettle and Fire Chicken Bone Broth into the remaining half of the ice cube tray. 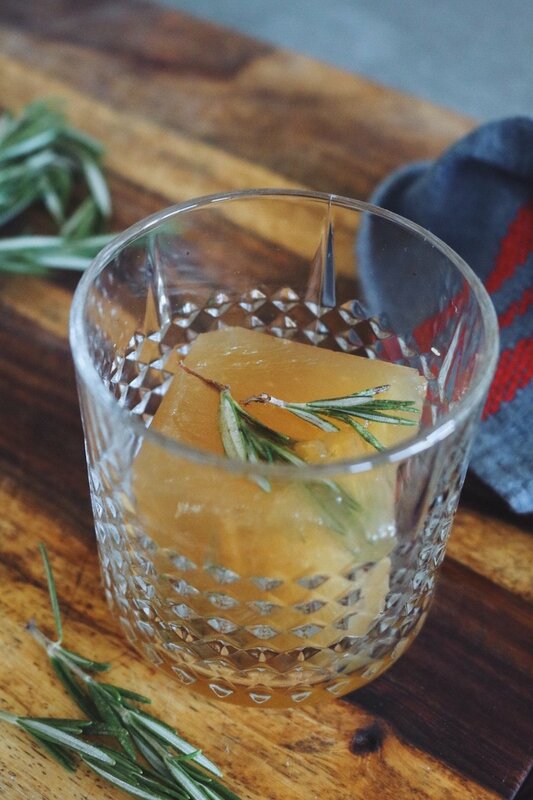 Tuck rosemary, sage or a mix of both in a few bone broth ice cube slots with the bone broth. Mix in a little bit turmeric powder into the rest of the ice cube slots with bone broth. Use more turmeric if desired. Place the ice cube tray in a freezer for about 4-24 hours or until completely solid. Enjoy with any iced beverage of your choice for added nutrients!